With Boston’s beer scene seeming to grow exponentially each year, it only makes sense a premium would be put on space. In order to support burgeoning brewers on a local level, Todd Charbonneau, Matt Malloy, Travis Lee and Holly Irgens came up with a crafty solution. Enter Dorchester Brewing Co., a contract brewing facility and brewery that opened its doors to beer-lovers and beer-makers in summer 2016. With 20 taps, Dorchester Brewing offers partner brewers a direct line to the masses, alongside their own in-house ales. 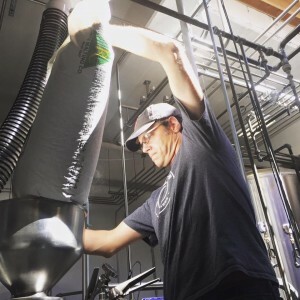 The brewery was founded on a partnership model, to provide a space for smaller, regional brewmasters to perfect their product. Charbonneau, whose background includes 10 years as Harpoon head brewer and his own contract brewing brand Banner Beer, sums up the inspiration: “We envisioned a state of the art facility that would support craft beer brands and provide them with more than just an end product – one with quality control, more packaging and storage solutions, as well as overall support to help the craft brewers grow their business.” Beyond the equipment, Dorchester also has dedicated tap lines for the partner pours, making the beers widely available for local fans. Fall 2016 will be busy at the brewery with the addition of partner brewing equipment and new pours from the in-house team. As Charbonneau notes,“We, as American brewers, have limitless access to ingredients from all over the world. We can be as traditional as we want, or as wild as we want.” The change of seasons brings a Fest-Bier and coming down the pipeline (tap line?) will be a Baltic Porter and a series of Trappist yeast brews. Food trucks and games round out the tasting experience which will continue to evolve and expand as partner brewing gets underway, making Dorchester Boston’s beer destination.